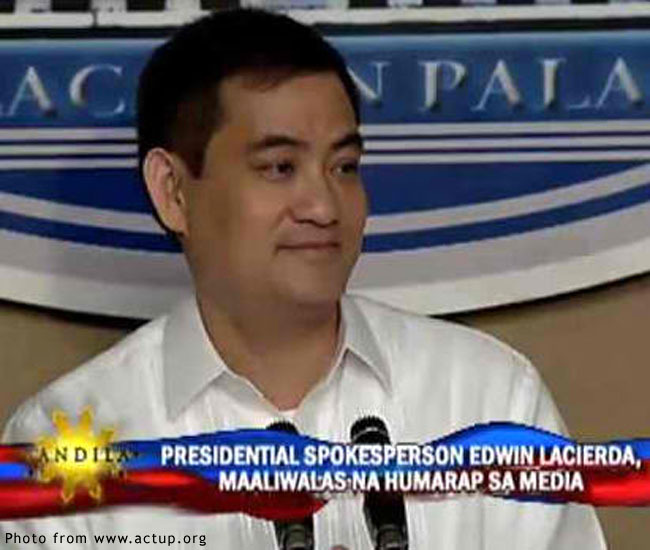 Presidential Spokesperson Edwin Lacierda is one stressed gentleman these days. There can be nothing edifying about a job that requires one to fend off media intrusions into the President’s love life. Ditto keeping away the hounds sniffing blood on the alleged irregularities concerning the President’s so-called shooting buddies. In one evening of primetime news, I saw Lacierda rant at a local bishop for supposedly sowing lies; lose his cool in a talk show at insinuations that the President was being soft on his shooting buddies; and nervously try to coax the media away from the thorny Spratly Islands row with China. This last item concerning the Spratlys, in particular, was worrying. His demeanour was all wrong. He appeared extremely nervous and agitated; his voice broke slightly at times; and, overall, he was projecting the image of a dog with its tail between its legs. I can imagine how much stress is associated with his job; and he has my sympathies. However, I am more worried about the body language he was projecting to the Chinese, who I am certain were gleefully gloating. 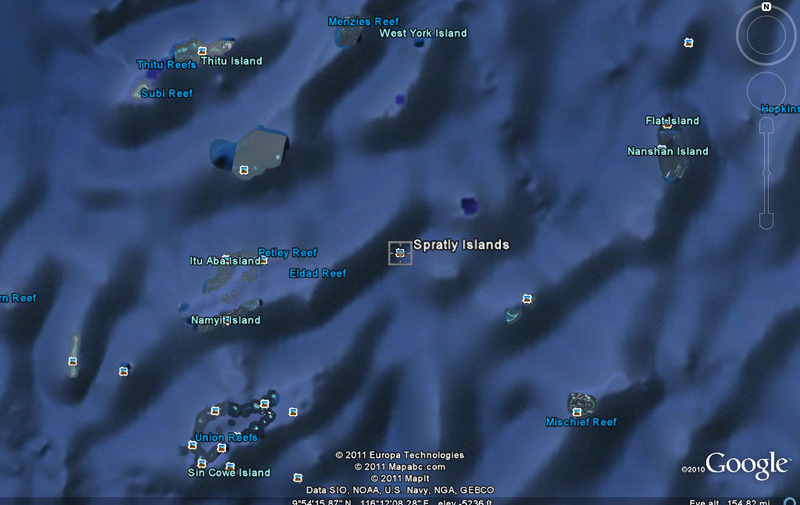 “The Spratly Islands are a group of more than 750 reefs, islets, atolls, cays and islands in the South China Sea. The archipelago lies off the coasts of the Philippines and Malaysia (Sabah), about one third of the way from there to southern Vietnam. 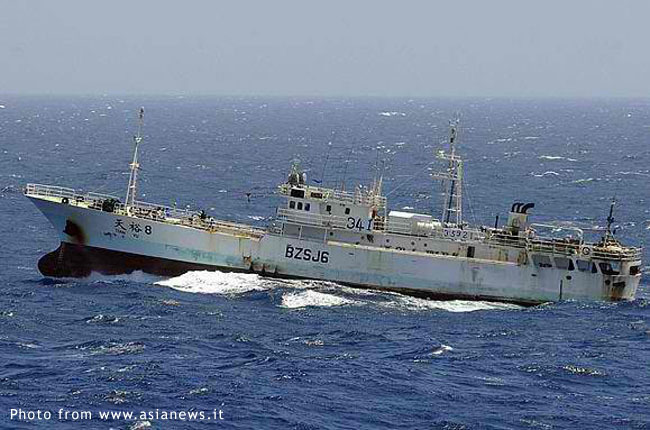 They comprise less than four square kilometres of land area spread over more than 425,000 square kilometres of sea. 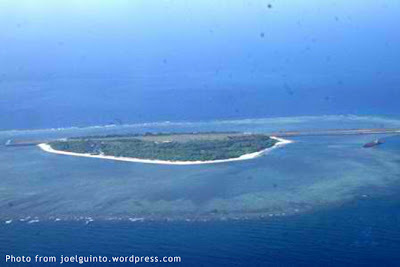 The Spratlys are one of three archipelagos of the South China Sea which comprise more than 30,000 islands and reefs and which complicate governance and economics in that region of Southeast Asia. Such small and remote islands have little economic value in themselves, but are important in establishing international boundaries. 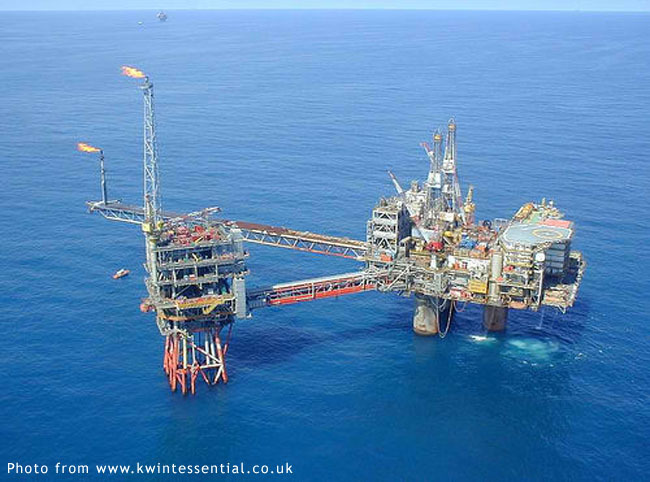 There are no native islanders but there are rich fishing grounds and initial surveys indicate the islands may contain significant reserves of oil and natural gas. 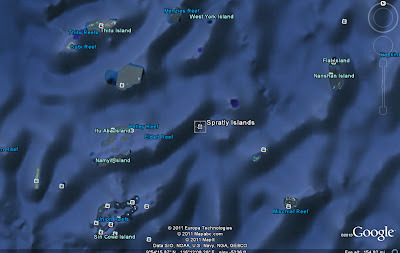 Territorially, the islands are of little significance to any of the nations who have staked claims to the archipelago. Strategically and economically, the value of these islands to all concerned is unmistakable. 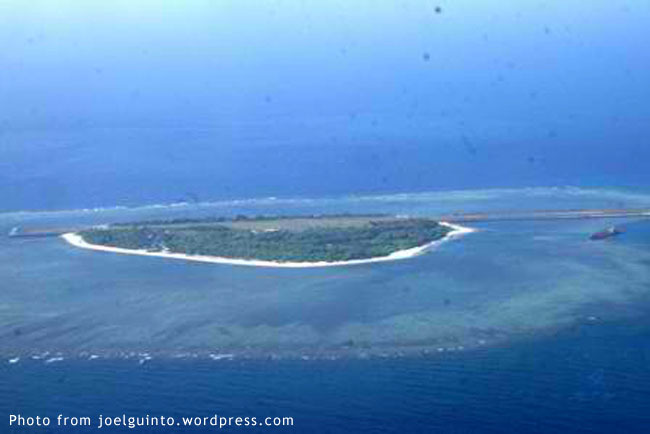 If proximity alone was the basis for territoriality, then we the Philippines ought to help ourselves to all of this ragtag collection of islands along with all of its supposed riches. Geo-politics, however, is a tad more complicated than mere proximity. It involves posturing between nations and being able to back up whatever claims you are brazen enough to make. Surprising as it may seem, but it really is not much different from a pack of dogs fighting over a piece of bone. This is, naturally, an oversimplification. Between nations in the modern world – where economies are too intertwined for a shooting war to be of real benefit to any party – sometimes all it takes even for a small dog is to bare its fangs to ward off a larger dog. It is all about the posture and the intent, Cesar Millan of the show “The Dog Whisperer” says. 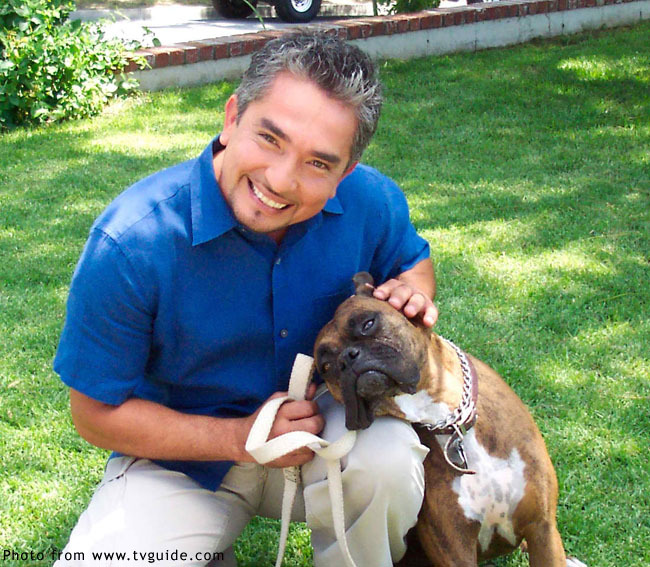 Funnily enough, in a pack of dogs Millan himself maintains, the alpha male is a short-legged Boxer dwarfed by most of the other dogs. 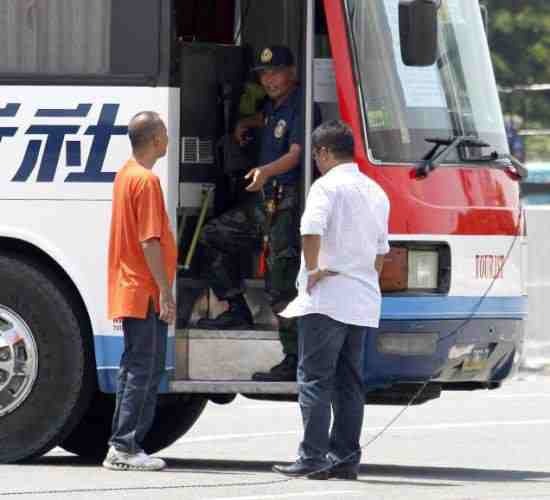 Last year, in the aftermath of the Rolando Mendoza incident at the Rizal Park, I was concerned that our government’s initial stance against the Chinese was too conciliatory and too apologetic to earn us any respect. I did not mind sympathetic gestures towards the families of those slain. I DID mind that a team of Hong Kong forensic policemen was not immediately sent home with an appropriate censure. That was intrusive; and it was as though things of the sort do not happen elsewhere. 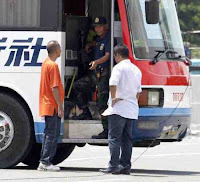 Does China send a forensic team wherever a Chinaman is massacred? To its credit – or was it? – the Philippine government later took a tougher stance against any further intrusions into our sovereignty, or at least as far as the Rizal Park massacre was concerned. That said, a hard stand following a soft one always has BLUFF written all over it. 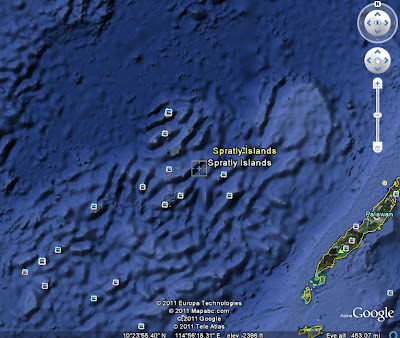 The Spratlys, for as far back as I can remember, has always been a tricky issue. 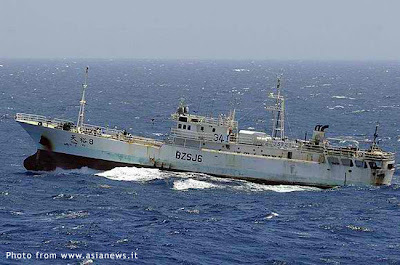 But it has been quite a while since it has threatened to be the source of an alarming diplomatic row… What are the chances of the recent brazen incursions by Chinese vessels into Philippine territory – about which President Aquino himself expressed concerns – being due to a perceived weakness in the current Philippine government? To this and all other noises being made by our ASEAN neighbours about the increasing Chinese incursions into what is claimed by everyone to be sovereign territory, the Chinese hierarchy issued a reproach. Albeit addressed to no specific country in particular, the reproach lectured everyone about making claims that are unfounded to begin with. Unfounded? The AFP has photographs and even videos, of course. When the Chinese say their vessels are in international waters or in their part of the Spratlys, you do not have to be Einstein to figure out what, in effect, they are really saying. It is arrogant of the Chinese, of course; as you can expect any large and powerful nation to be. “We should not be bullied by this undiplomatic posturing,” he said in a statement. “The Philippines has a long history of freedom and popular uprisings against tyranny and the arrogance of power. We will never allow any superpower to bully us into submission,” Pangilinan said. It is not, of course, as though we are completely without our own cards to play. AFP Commanding General Eduardo Oban Jr., speaking before the cameras with the sort of assuredness I would like to see as well in those who speak on behalf of the President, intimated that the Americans are starting to fidget about the ongoing row. They are, after all, obligated by treaty to defend us if we are invaded. There you are! Not bad a card to play under the circumstances, would you not say so?